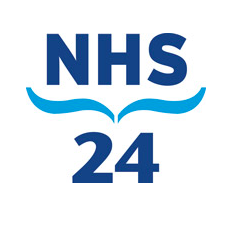 Just when the rest of the population starts spending more and more time shopping for Christmas presents or pushing an overladen trolley around Tesco (other supermarkets are available……) we in NHS 24 are preoccupied with a very different set of issues. Basically, we are preparing meticulously for the busiest few days of our entire year. In fact, NHS 24 starts its preparations for the winter period in July. The busiest period for the 111 service is during the festive holidays when community based services have dramatically reduced opening times. Colleagues responsible for the planning consider predicted call volumes and how many staff we will need to answer those calls. We also work closely with partners in territorial boards to plan ahead and make sure we can work together to care for people when other services will be closed, or when demand increases because of seasonal illnesses. Nationally, our 111 service receives between 2,500 (on weekdays) and 8,000 calls a day (at weekends), but over the holiday period – when community services are closed for four days – calls can escalate to around 45,000 calls over Christmas and 51,000 calls over the New Year break. Our experience of winter has also seen huge improvements to our online service, nhsinform.scot. We’ve added self-help guides to support people to self-care for minor illnesses such as colds, coughs and tummy upsets. The advice you get on the phone for minor ailments is clinically aligned to the content of the self-help guides. NHS 24 has a key role to play in supporting people to look after their own health and wellbeing. We use our social media channels to share health and care information, especially during the winter months. On behalf of NHSScotland, we manage the ‘Be Health-Wise this Winter’ campaign which is designed to encourage people to be prepared for seasonal illnesses, especially in the run up to the festive holidays. A large part of this information sharing is about awareness raising and last year we developed a ‘Guide to Services’ to help people understand the range of services available to them, from 999 to your local pharmacy. We worked with a range of partners to develop this infographic (pictured) and by its third iteration it reached over 1.5 million people. This year we are developing this idea as a series of short animations highlighting each service so look out for that online in January! Last winter we were all hit with the ‘Beast from the East’ and NHS 24, like all services across the NHS and beyond, had to respond to make sure our services were there for people who needed them. Our staff overcame the huge challenge of getting to work and we were extremely fortunate to get offers of help from people all over the country, many of whom used their own 4×4 vehicles to help colleagues such as our Nurse Janis (pictured) to get to one of our contact centres. Our support staff were there too, making sure our staff were able to have meals and booking nearby hotels for much needed rest. Tommy (pictured) is just one example of the many people who worked beyond their normal shifts to keep things as normal as possible in what were exceptional circumstances. We heard many stories of staff staying for several days, getting rest when they could, to keep our services safe, effective and focussed on delivering the care that people needed. This year our winter preparations include planning for the most extreme weather, learning from that experience. So, as you tuck into your second helping of turkey on Christmas day, spare a thought for colleagues in NHS 24 who will be working hard to make sure that everyone in Scotland has access to urgent care and advice over the festive period. But the truth is we really enjoy what we do and are proud to deliver this much-valued service. In that wonderfully ungrammatical phrase – what’s not to love about that? Previous A Movement for Movement: what’s art got to do with it? A lot.